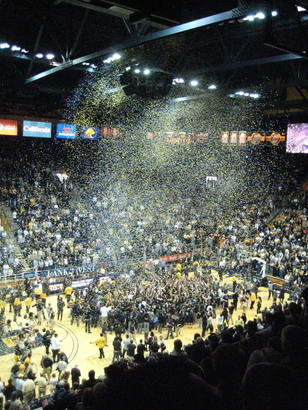 Quick shout out to the Bears for winning the Pac Ten in hoops. I'm a proud season ticket holder along with my partner in crime, Scotty Fausel. It's been the usual up and down year, but somehow we came out on top. Loved this quote from Mike Montgomery, found on the Team Antarctikate blog. "To me, the conference championship is the crown jewel. It’s the thing that means the most."